Six major categories of plastic packaging help to significantly reduce energy use and greenhouse gas emissions compared to packaging alternatives made with other materials. A study: “Impact of Plastics Packaging on Life Cycle Energy Consumption & Greenhouse Gas Emissions in the United States and Canada,” provides a detailed life cycle assessment showing the energy and climate benefits of using various types of everyday plastic packaging compared to alternatives. These categories include caps and closures, beverage containers, other rigid containers, carrier (or shopping) bags, stretch/shrink wrap, and other flexible packaging. “Plastic packaging enables the safe and efficient delivery of various products which form part of our daily lives, everything from food to essential health and safety aids. However, many are unaware that plastics carry out these functions while at the same time conserving energy and lowering greenhouse gas emissions. This study clearly articulates these benefits to sustainability,” notes Carol Hochu, President & CEO of the Canadian Plastics Industry Association. Study authors used life cycle assessment (LCA) methodology to compare current amounts of various plastic packaging products to packaging made with alternative materials. The findings were striking. result in 2.3 times more global warming potential – equivalent to adding 3.3 million more cars to our roads. Plastics packaging is highly engineered enabling innovation in performance and reductions in material use resulting in enormous sustainability benefits throughout the entire life cycle, as this study shows. After use, plastics make further contributions to sustainability by being re-purposed through recycling or recovered for its energy value and converted into a liquid oil, electricity and into other fuels. Great progress has been made in recycling. In a Report on Access to Residential Recycling of Plastics released in 2016, PET beverage bottles show an access to recycling rate of 99%; plastic containers made from PET, HDPE, LDPE and PP show access rates of 90% or higher. The access rate for PVC and other (#7) types of plastic containers have risen to 88% and 91% respectively. Rates for containers made of polystyrene have increased from 63% in 2014 to 70% in 2015. As well there was a significant access rate increases in the film and bags categories (from 55% in 2014 to 65% in 2015). A Study on Post Consumer Plastic Recycling in Canada released in March 2017, shows that for a sixth year in a row, the amount of post-consumer plastic material being recycled across Canada has increased. In total, over 322 million kilograms of post-consumer plastic material was collected for recycling in Canada. Plastic packaging collected for recycling includes plastic bottles, non-bottle rigid plastics such as deli and dairy containers, bakery, vegetable, fruit containers, and plastic film, bags and outer wrap. These valuable resources are reused to make, for example, fleece jackets, new plastic bottles, pipe, pallets, crates and buckets, decking and other lawn and garden products. 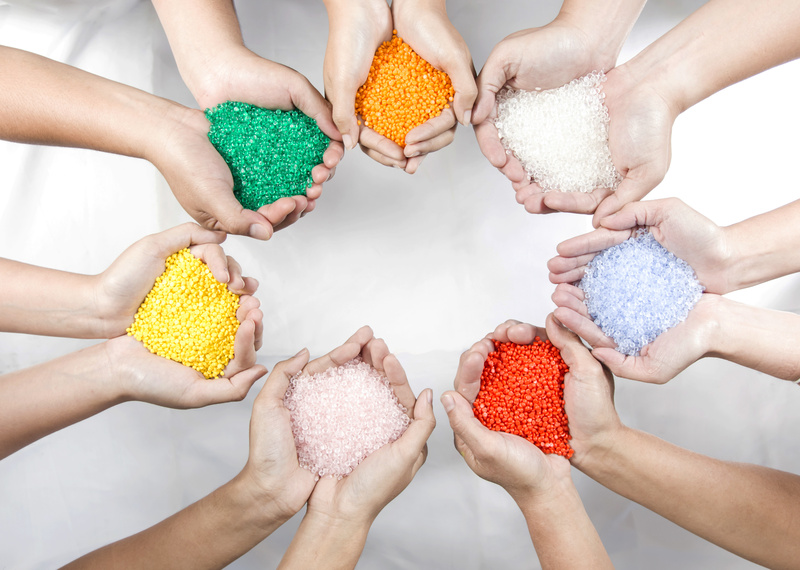 Today’s intelligent plastics are vital to the modern world. These materials enhance our lifestyles, our economy and the environment.